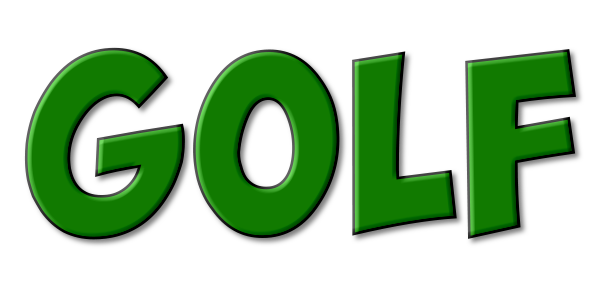 I am pleased to announce a server that I have been working on for a while, Golf! Anyone getting a feeling of Déjà vu? Let's begin with a video. Watch it here. There's only one thing you can do on this server - golf. When you connect, you'll be able to view either the shop or the play menu. 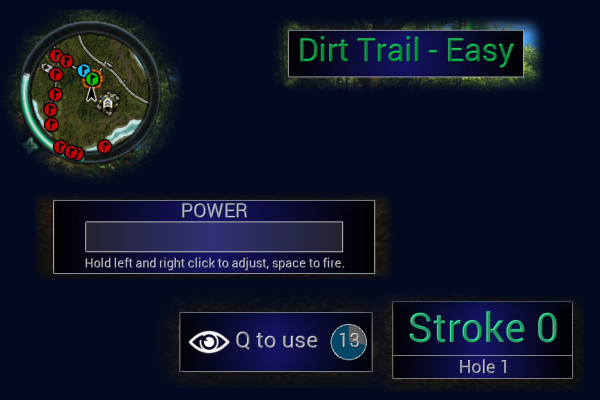 In the play menu, you will be able to see all available courses to play on. You'll see people as they join the queues and begin their games. Initially, most of the courses will be locked, but you'll eventually unlock them as you improve. Once you've queued up for a course, you can wait for more people to join you, or simply go solo. When you want to begin, hit the red check on the right side of the course you selected and you will be marked as ready. As soon as everyone is ready, the game starts. 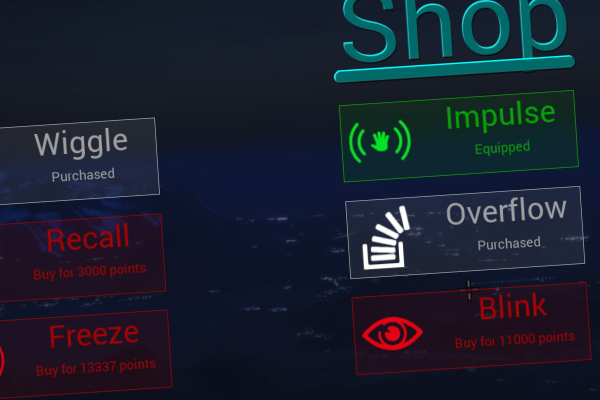 In the shop menu, you'll be able to buy powerups to use in games. Once you've bought a powerup, you'll have it forever. Just make sure the powerup is green and says "Equipped" once you've purchased it. In order to get points to purchase powerups, you'll need to complete golf courses. The number of points depends on how many people are playing, what difficulty the course is, and how well you do on the course. Once you're in a game, you'll see a bunch of UI that tells you a bunch of stuff. It's all self explanatory though - your power meter, your current powerup, and your current hole and stroke are all at the bottom. Your minimap is now filled with flags that tell you the positions of all the holes on the course. A green flag is your current hole, a blue flag is your next hole, a red flag is a future hole, and a grey flag is a previous hole. Near the top middle of the screen, you'll also see the course name and difficulty in case you forget. Holes are clearly marked with a waypoint as well as a large green beam shooting straight up from them, so no matter what height you're at, you'll be able to see where you need to go. Holding tab will bring up the scoreboard of the current game. Here, you'll be able to see the par scores for each hole as well as the scores of everyone in the game. If you fall into water at anytime, you'll be teleported back to a safe position on land. After you finish the course, you'll begin to spectate other players that are still playing on the course. Once everyone on the course has finished, you'll be taken back to the play menu. If you're playing alone, you'll just be taken back to the play menu after you finish. When you first connect, you'll only be able to play on easy level difficulty courses. In order to unlock all medium level courses, you'll have to complete at least one of these courses at par or better. This trend to unlock courses continues for all difficulties (Easy, Medium, Hard, Extreme, Insane). Powerups can help greatly to improve scores on more difficult courses. There's a custom chat here, so if you have any issues with it please let me know. It features 4 tabs: Global, Lobby, In-Game, and Private. The Global tab is for general talk and is seen by all players. The Lobby tab is for players looking to play with others and is not for general talk. The game will also broadcast messages concerning games that will start soon in this tab. The In-Game tab is only available while in a game and can only be seen by those who are in the game with you. The Private tab allows you to create your own chatrooms. You can only see the messages of players who are in the same chatroom as you. You can make your chat messages different colors by typing a keyword in parentheses such as (red) before the segment that you want colored. Only basic colors are available right now, such as red, orange, yellow, etc. The custom chat is in beta stage, so if it's a complete disaster then I might just revert back to the default chat. But for now, Golf will use it. There are a few small graphical bugs sometimes, but it should be usable for the most part. If you do find a bug, please take a screenshot and send it to me. I just used a full power stroke and I barely moved! Fix pls! This is the nature of how it works, and it happens to the best of us. I'm constantly looking into ways to make it better, but if it happens there's really nothing I can do. Just hope for better next time. I pressed Q and my powerup went on cooldown, but nothing happened! Did you read your powerup when you hovered over it in the shop? Some specify that they cannot be used when traveling at high speeds, so you might need to wait until you stop moving to use it. While in game, tab can be used to bring up the scoreboard. If you've got something to say, you can either type /feedback in game to open up the feedback window or just respond here. If you've got ideas for courses or powerups, let me know! I'm very open to ideas right now. Or you can find it in the server browser under the name of Golf! I can't wait to play on the back entrance. Also, your video is better than all of mine combined. Highscores are now in! You can see the current highscore of any unlocked course by hovering over it. It'll tell you the name, score, and date of the person who set it. If you beat the highscore, you'll replace the old champion. Currently all the courses are set at par as the highscore, so they should be easy to beat. I'll probably implement some bonuses soon for beating other people's highscores. Also the Blink powerup has been adjusted so that you can only use it if you are more than 25m away from the hole. 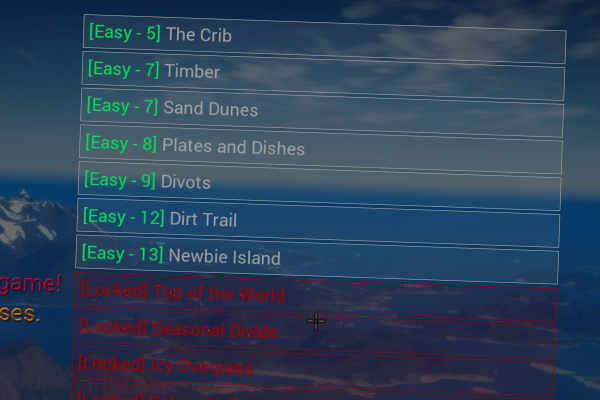 + 1 new easy course: Prep Hills! Outstanding. I'm going to look into ragdolls a bit to see if I can turn them back on without them going nuts, because this is far too awesome to be stuck with the dead pose. Awesome job! Thanks! Hopefully we can see the glory of all the ragdolls soon. Another update has hit the streets! This one focuses on a nice help menu (accessible by a large button on the main menu) that talks about everything that you do on the server. Some people were confused about how to play with their friends, so it's one of the topics on the help menu. There's also a running changelog on the help menu. The camera has also been reworked! There were some complaints so I fixed it up. Not only can you look up and down at greater angles with greater freedom, there is also a new tool! Pressing CTRL in a game will lock your camera in place so that you can angle it up to get over those nasty obstacles. These new features are also in the Camera section of the help menu. PS: where's my bloody Crazy Taxi gamemode!? A few more updates have made their way onto the server recently, but today a crazy one hit! There have been a few new courses added, but a new difficulty has been added! This difficulty is called Procedural. It only has one course on the list, but actually is infinite. When you queue up for a procedural course, a small popup will appear where you can choose to enter a seed. A seed is like that in minecraft - it determines the world (course), and if you like it, you can use it again to get the same course. However, you can also choose to have completely random courses each time rather than entering a seed. If you like a certain course, write down its seed! Now you don't have to wait for new courses to be added because you can always play a new course. Please me let know if there are any issues with it.